Chicago Mayor Rahm Emanuel announced the selection of Elon Musk’s Boring Company to build and operate a multibillion-dollar rapid transit link between O’Hare International Airport and the city’s downtown. 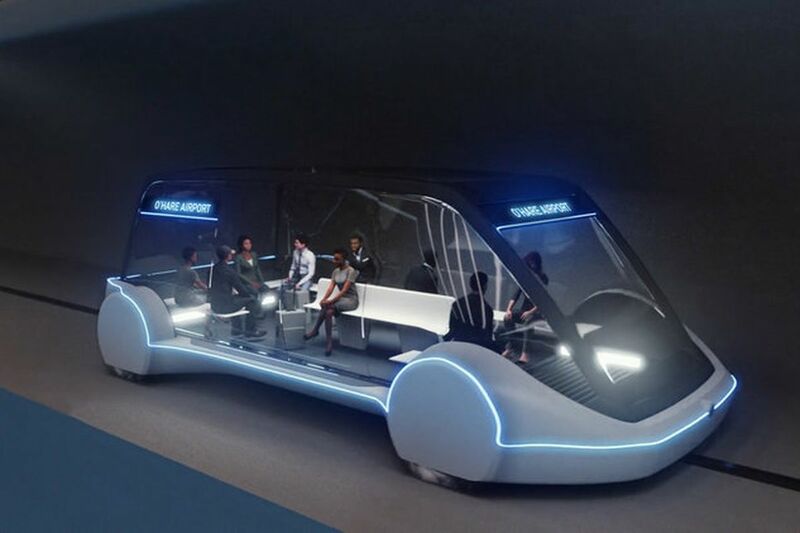 The company plans to transport passengers between O’Hare and Block 37 in the Loop in approximately 12 minutes (one way) ordinarily it would’ve been a 40-minute trip. The project will be funded entirely by the company with no taxpayer subsidy. But whether or not he’ll need to sell more flamethrowers to raise the funds isn’t clear, Musk will have to front the construction costs and then pocket all the revenue from the system’s transit fees and any money generated by advertisements, including in-car shopping sales. In other words, Musk intends to fund a massive infrastructure project in part with money from people buying stuff like headphones during a 12-minute trip most likely using in-vehicle touchscreens. This is a major boost to Musk’s impractical tunneling project, and the strongest validation from a city government to date. The Boring Company, which launched just 18 months ago, is still negotiating rights to dig a 6.5-mile test tunnel under Los Angeles, and has received a preliminary permit to start digging in Washington, DC. The company has already broken ground on a two-mile test tunnel under the parking lot of SpaceX, another of Musk’s ventures. What the Chicago project won’t include, most likely, will be the hyper-loop. Musk has said he hopes to connect New York City to Washington, DC via the supersonic transportation system and has received tactic approval for the project from the Trump administration. Of course, transportation experts question whether tunnels are really an answer to the quandary of traffic congestion and overcapacity, in addition to questioning Musk’s claims that he can dig tunnels faster and at a fraction of the cost of traditional boring technology.